WASHINGTON — I have in my office a framed note from President Donald Trump. It says, "Bob, Now We Really Did It. Thanks For All Of Your Help!" The note is dated Jan. 13, 2017. He was responding to my congratulatory email to him earlier acknowledging that indeed he "did it." He won the election and was then gearing up for his inauguration and what would follow. Today he has been president for almost a year and a half. What has he done? He has realized more of his conservative campaign promises than anyone since President Ronald Reagan. Perhaps he has even outdone the Old Cowboy. Trump is more conservative than he let on! Usually it is the other way around; a presidential candidate is more liberal than he lets on. Trump's iconoclasm is refreshing. I thought of that this weekend when George Will, the columnist who long ago won a Pulitzer Prize, finally went to pieces and ordered his readers to vote Democrat this fall. Will was not ordering his readers to vote for the Democratic Party of Adlai Stevenson, or former Sen. Bob Kennedy and former President John Kennedy, or even former Vice President Hubert Humphrey. He was ordering them to vote for the party that looks to the sore loser, Hillary Clinton, and the socialist, Sen. Bernie Sanders. Reportedly, Sanders is the socialist who, for the second year in a row, hauled in 1 million big ones and owns three spacious houses. Clinton ... well, you know how much swag she and her husband have amassed from a life spent in what they call "public service." I say Will finally went to pieces. There have been signs of his impending crackup before: the time he gave himself over to a diatribe against former President George H. W. Bush. Will called this courtly gent a "lap dog." Bush went on to become president after an illustrious public life. For that matter, between Will's famous lunches with former first lady Nancy Reagan (and former Washington Post publisher Kay Graham and former Washington Post editor Meg Greenfield — he has been renowned for downing comestibles with powerful women), he denounced her husband for his tax cuts and all the while accepted the president's hospitality. He even denounced former Rep. Jack Kemp, again for tax cuts, the same kind of tax cuts that are energizing our economy today. Tax cuts and smaller government bring out the worst in Will. I have, through the years, speculated that Will suffers from what I call "writer's hysteria," wherein the patient temporarily "loses control of his literary tools and of his mind." This happens to Will increasingly. He suffered it during the 2016 election when he left the Republican Party and doubtless was surprised that others did not follow. Then, last weekend, he ordered his readers to follow him en masse to wherever he plans to go. Bill Kristol of the Weekly Standard is undoubtedly with him, and, of course, David Frum(p) of the Atlantic. As to where they are going he presumably mentioned it later in his column, but his turgid prose defeated me. As I say, when a writer suffers writer's hysteria, he at least temporarily loses his literary tools. My colleague Dan Flynn, writing in the Spectator A.M. bulletin on Monday, pithily summed up why serious conservatives and most independents will vote for Trump's Republicans in the fall: "Trump cut taxes, appoints good judges, presides over a golden age of deregulation, shows far more restraint with regard to the military adventurism embraced by recent Republicans, and takes a strong stand against the invasion at the Southern border. Why should Republicans vote against that?" Finally, there is another reason conservatives and independents will vote for Trump in the fall. He has the energy, the voice, the character and the smarts of a winner. In Yiddish it is called "sechel." Indeed, he is the greatest campaigner since Bob Kennedy in 1968. He relishes the campaign, and he is still on the campaign trail today. When I flew with him in his campaign plane in October of the election year, it was about the campaign's darkest hour. The "Access Hollywood" tapes had been made public on October 7, and he was pronounced dead. All the major polls had Clinton ahead. For three days I was on the plane with him, starting on October 11. I was prepared for the worst. Yet he was always upbeat at stop after stop. He relished the Purple Heart a Vietnam War veteran gave him and other gifts along the way. His energy was astounding, and he maintained his cool and his friendliness. If he thought he was going to lose, he never betrayed it. Perhaps that is why I stuck to my prophecy, repeated regularly in this column. I said, "Donald, you are going to win." He did, and now George Will has gone to pieces. I have known him for 50 years. He is down and almost out. 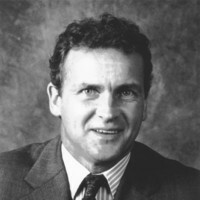 R. Emmett Tyrrell Jr. is founder and editor-in-chief of The American Spectator. He is a senior fellow at the London Center for Policy Research and the author most recently of "The Death of Liberalism," published by Thomas Nelson, Inc. To find out more about R. Emmett Tyrrell Jr. and read features by other Creators Syndicate writers and cartoonists, visit the Creators Syndicate webpage at www.creators.com.